Posted on 17th October 2018 at 2:10 pm. There have been a whole boat load of new fixes and improvements that have gone into both Sailaway and the World Editor. We have also added a new voting system for edits made using the World Editor. Added about 50,000 new buoys and lights from the OpenSeaMap database, including the ones that were registered as a building instead of a singlepoint node. Yellow lights where imported from the OpenSeaMap database as white. The height of the light beacons was previously incorrect. Fixed glitches on the teak deck of the catamaran. Toggling through the camera positions would skip the helmsman position. Camera was not stable when a line was selected while sailing in tall waves. World edits are now indicated with a white rectangle in the map. World edits have an info panel that is accessible by pressing the white “i” in the map. The info panel offers the opportunity to contact the creator and/or report the edit. Deactivate function has been removed. In World Edit list, the text “deactivated” is shown when an edit has been downvoted. Deselecting an 3D object is now possible. When you add a new 3D object when nothing is selected it is possible to remove an OSM building without selecting a 3D model file. Posted on 27th February 2018 at 2:00 pm. 10 months ago we released Sailaway into Early Access so that we could spend some time improving the simulator while allowing people to play and provide feedback at the same time. The response during this time has been great, many of the suggestions that were requested have been implemented and we have plenty more of them on our wishlist that we hope to get to one day. Version 1.0 of Sailaway doesn’t mean we are finished with development, it just means we have reached a place where we feel the feature set means it is ready to no longer be classed as Early Access. Thanks to everyone that has provided feedback and support so far, we hope you continue to do the same as we move forward into this next chapter of Sailaway’s development. We have been wanting to improve the textures for land in Sailaway for a long time and we know it has been a much requested feature by lots of our players so it is great to finally be able to roll out this improvement as we hit 1.0. In addition to adding textures to the terrain in Sailaway we have also started to populate it with buildings by syncing with data provided by OpenStreetMap. While this data is not yet 100% complete for the entire planet it does start to fill out the most popular areas where data exists and as their data improves so does ours. We have started to manually place some iconic landmarks, such things as the Statue of Liberty, the Golden Gate Bridge and the Sydney Opera House are now all visible. We hope to add to this list as suitable models become available. Improved the water level in the Great Lakes. Improved water levels around Sydney Harbour, Melbourne and Dutch coast. 2 new challenges have been added. House, Sydney Harbour Bridge, Transamerica Pyramid, Freedom Tower. Boat speed is now 0 when anchored. 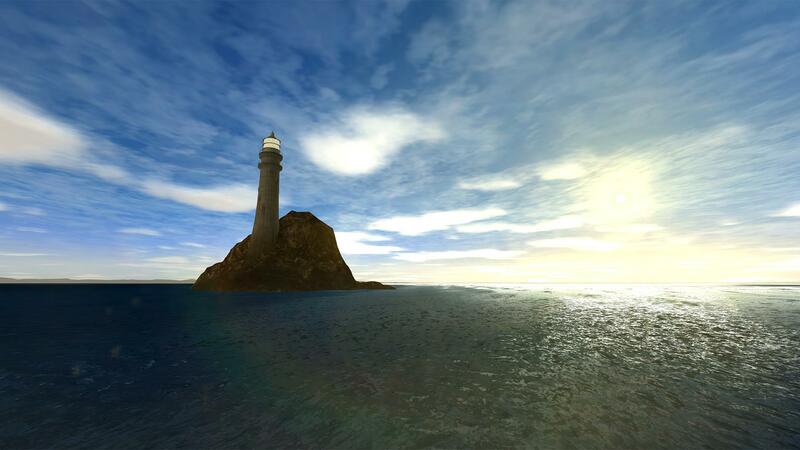 Distant lighthouses are no longer rendered white. Improved handling of some back-end data to reduce possible freezes. On and Offline boats are now a different colour on the map. Fixed various Japanese related localisation issues. Various world map graphical fixes. The race course will now show for all Race Team crew members. Added check to new user email entry to catch possible email mismatch. Fixed certain achievements not unlocking. With Sailaway’s exit from Early Access we expect new sailors to be starting to take their first steps into the world of sailing, we hope you will all make them feel welcome! 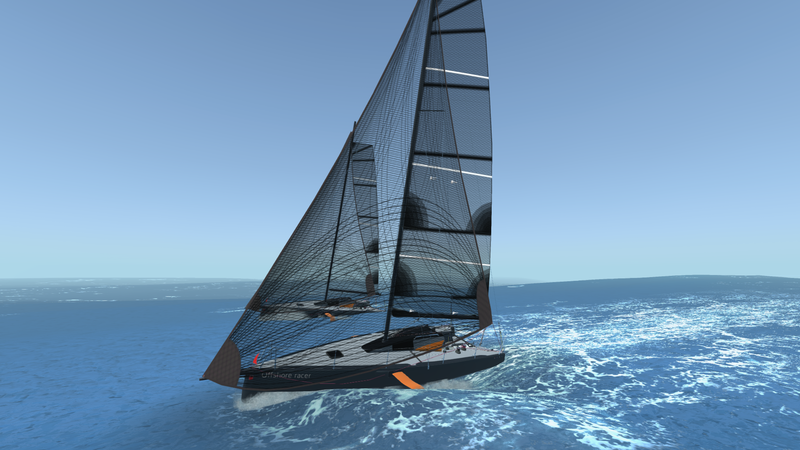 Sailaway Update V.0.9.030 – More stats, more sail data and extra boat instances! Posted on 17th January 2018 at 12:10 pm. It has been great to see all the creations you have been sharing on our new Steam Workshop, we have been very impressed with the designs so far so keep up the good work! Some of you may of noticed that others might not be seeing your creations (even though it looks fine on your own screen) and we have found the cause of this issue and fixed it with this update. However, livery creators will need to re-upload their designs again once they have this update for it to take effect, apologies for this but it should work as designed from this point. This new update adds various layers of extra detail we have been wanting to make visible for a while now, hopefully it helps show the kind of things Sailaway is simulating. Date you started in Sailaway. Max miles a day (when, where and with what boat). Number of tutorials, challenges, races completed. A selection of the above stats are also available on a per boat basis. Please note that some of these statistics are new so will only start to track from when this update goes live. In the case of total miles sailed your existing miles are added to the new totals generated from each boat. With this update players will be able to add an extra instance of each of the boats currently available in Sailaway, this means you can now have 2 of each boats to use in separate activities. To add an extra version of a boat visit the Boat menu and select the new option in the top right of this screen. Navigation panel now resizes automatically when the screen resizes. When uploading a texture that is bigger than 2MB an error message is now shown. Added option to reset graphics settings on startup for people having issues with settings: LeftCtrl + LeftShift + C will delete all preferences and reset the graphics quality and resolution to the minimum settings. This update brings two big new features to the world of Sailaway, the first is a brand new boat and the second is integration of Steam Workshop to allow players to create and share their boat customisation with others. The goal with this new boat was to create something which was easier to learn to sail in, with only the one line to worry about the Nordic Folkboat had all the character the team wanted from such a boat. In the near future this boat will replace the cruiser that exists in the tutorials so that learning to sail in Sailaway becomes even more straightforward. As always with new boats feedback is appreciated, if you come across any issues with this please let us know in the forums. It is now possible to save your boat customisation options out to Steam Workshop so that you can share them with other skippers and we have also added the option for you to upload your own textures on various parts of the boat for additional creative control! Boat customisation is in the same place as before: Main Menu > Boat > Edit boat customisation. In the new Steam Workshop menu on the left you can select a new boat livery from any published on the Workshop or save your current configuration to a new item on the Workshop to share with others. All current liveries previously made by the Sailaway Team are already in place on the workshop so they are still available to use. 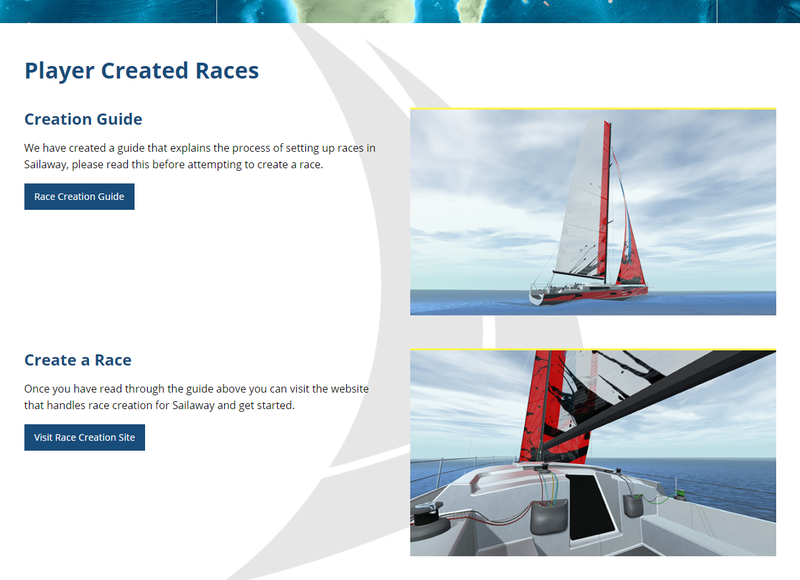 Integrating Steam Workshop into an online game such as Sailaway was no easy task and while we have been testing this internally we would appreciate any feedback from yourselves on any issues you come across so we can improve this feature as we move forward, this should be treated as the initial integration of the this feature. Here’s a quick video to show you how to add your own images. It only shows the sails but ALL the textures on all available boats are editable! Enjoy! We can’t wait to see your creations! Tips should now only display for lines you actually have on the boat you are sailing. Fixed an issue where reflections would flash on the boat hull. Made some adjustments on how wind animations are handled on the world map. Made some additional adjustments to a few hotkeys that had issues. Custom images can now be uploaded for Player Created Races. Updates have been on the quiet side recently due to ongoing work getting the new game server up and running but this is coming along well and hopefully soon we can move everyone over to it. A much requested feature since we initially released key customisation was to add a key for every line on a boat, this is now the case so you should be able to assign your controls just as you like. Along with the extra keys to customise, this menu also allows you to assign controller axis and buttons to various controls for the game. We have tested this controller support with various controllers we have available but as ever please report any problems you may come across. 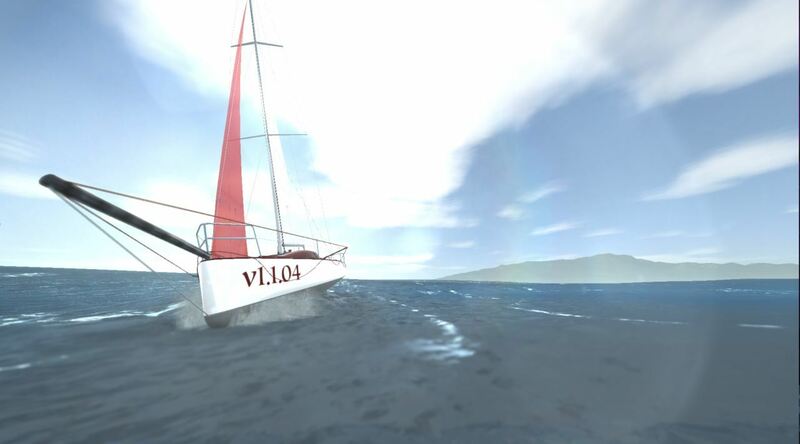 In addition, the team has been reviewing what is and isn’t achievable between now and the v1.0 launch of Sailaway and updated the roadmap accordingly, there is now a number of new features listed that we are aiming to implement before this launch. Here are the patch notes for today’s update! Day/Night added to the map! We have added a visual indicator to the map that shows if an area is currently in daylight or darkness. The current boat “Skipper” is now listed in the crew list. Players could use the anchor as a cheat during races at the buoys by dropping and pulling anchor which would raise the gennaker very quickly. The anchor has now been disabled in races. The sea should have better contrast in light winds. The red gennaker of distant boats is no longer red and fades better in the distance. Nearby terrain has been smoothed more. Fixed an issue with terrain using the wrong shader.